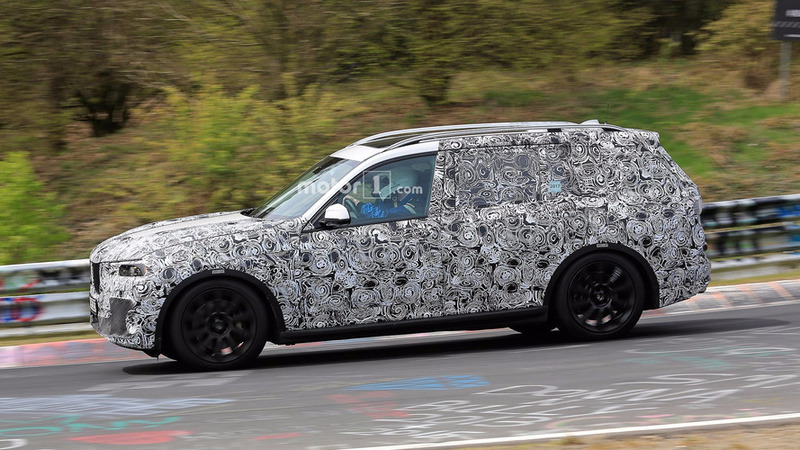 That 3.0-liter inline-six diesel has no limits. 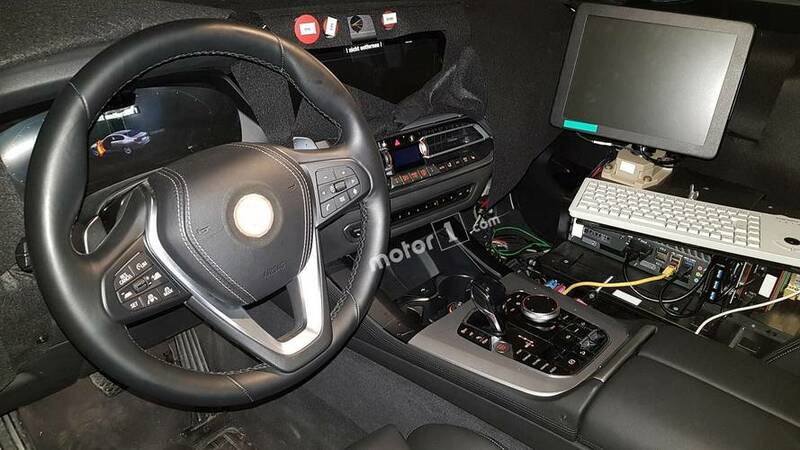 The interior appears to be production-ready, although the infotainment screen is showing a sedan. 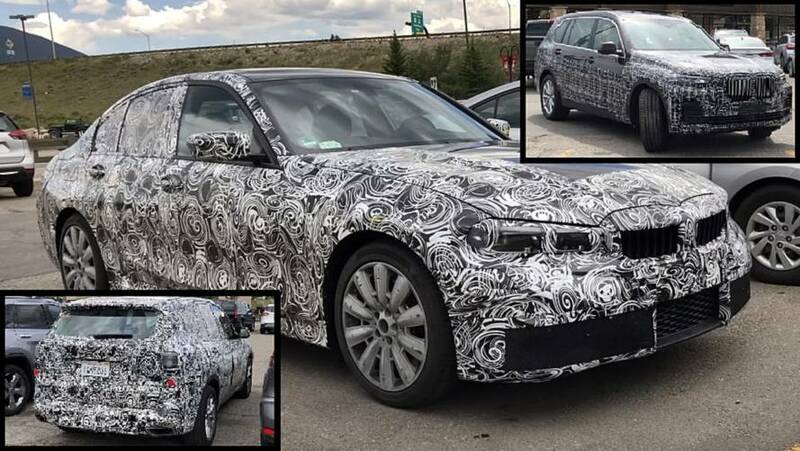 The camouflage is not really hiding anything we haven't seen before. 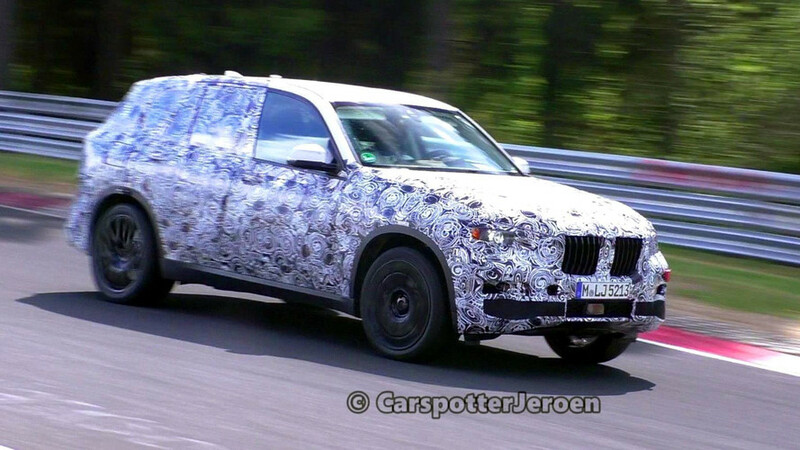 The X7 and 3 Series prototypes are quite understandable, but why the X5? 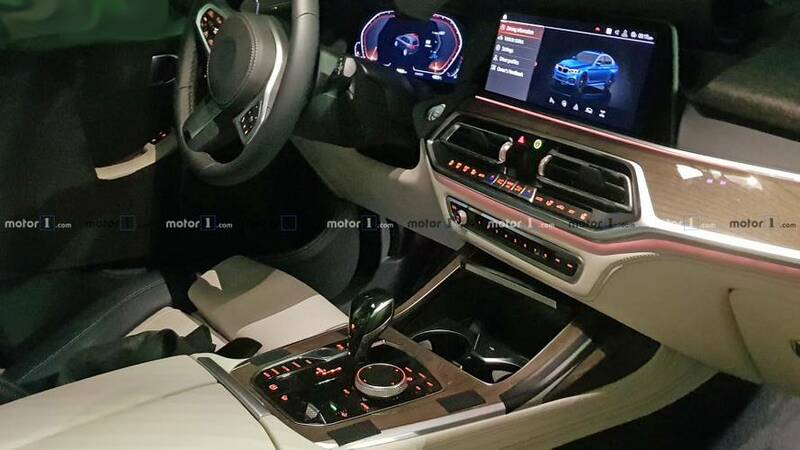 The styling has a lot of similarities with the future X5, but there's room for another row of seats in the back. 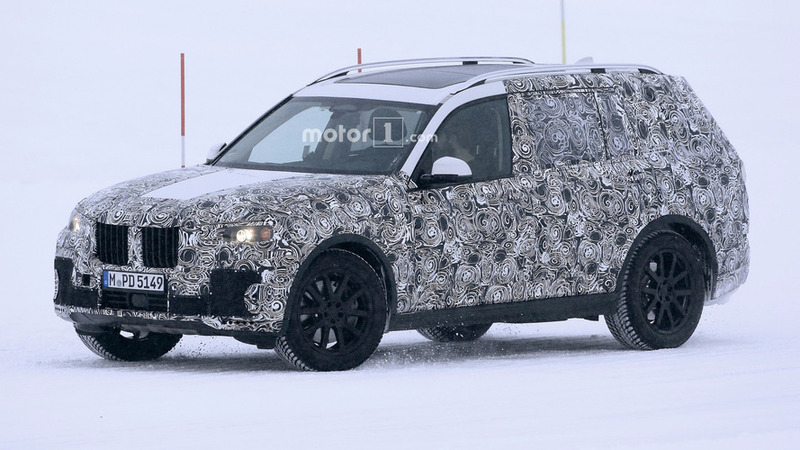 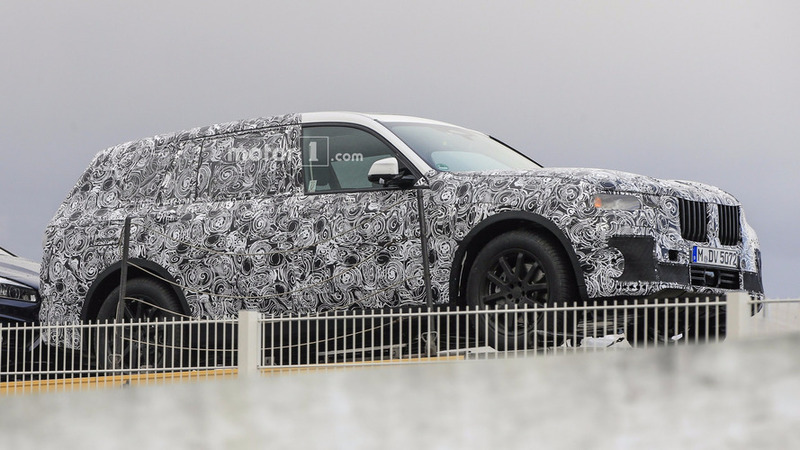 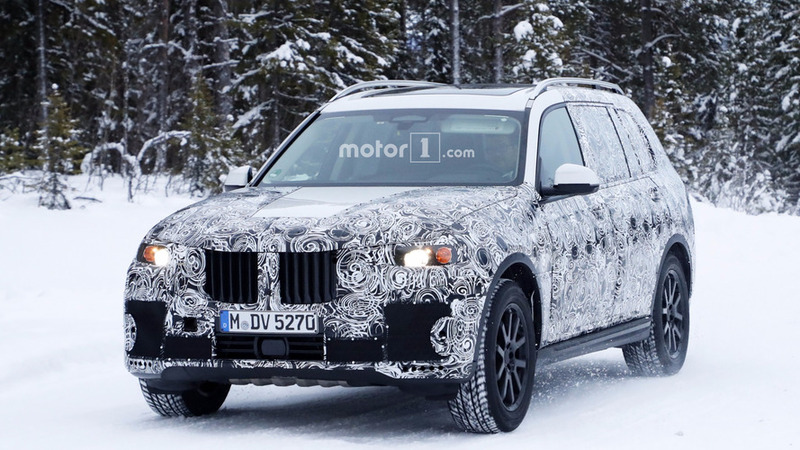 BMW's biggest SUV spotted one more time in new video and fresh batch of photos. 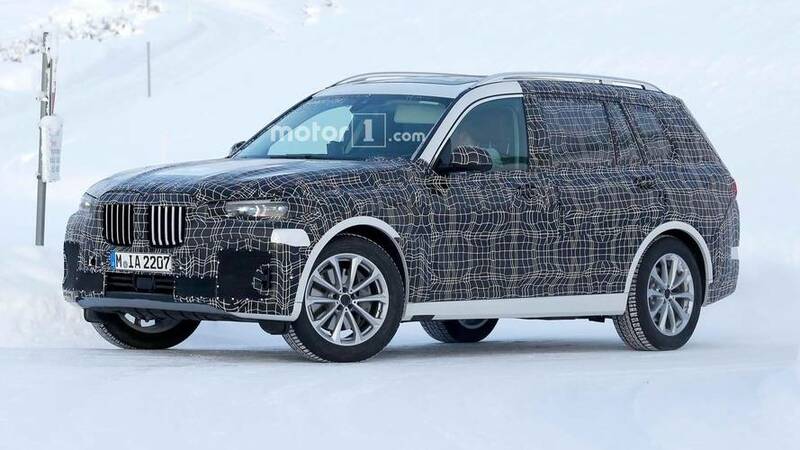 The Bavarians aren't willing just yet to reveal the real body of their plush fullsize SUV. 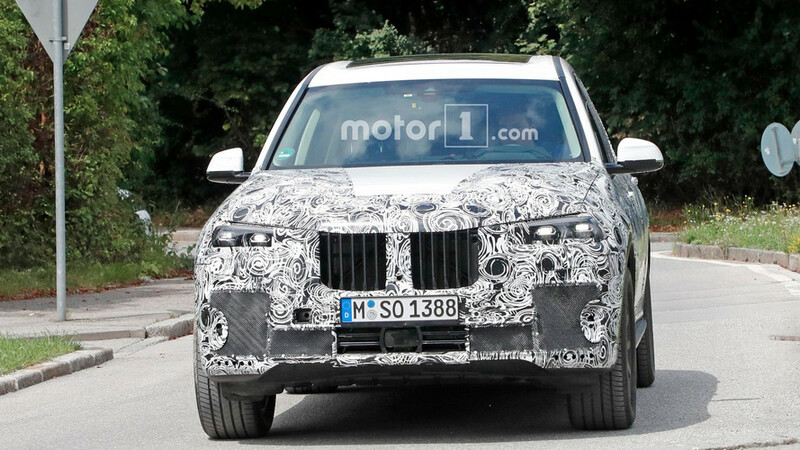 It's like an X5 but a whole lot larger. 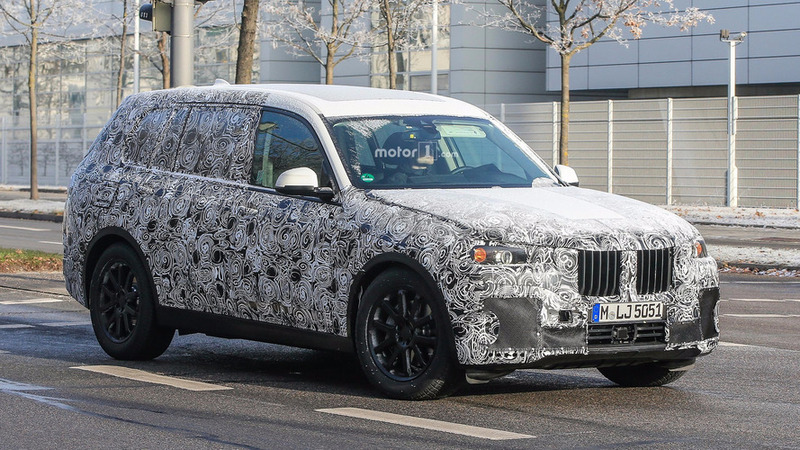 Bavaria's luxobarge is taking shape. 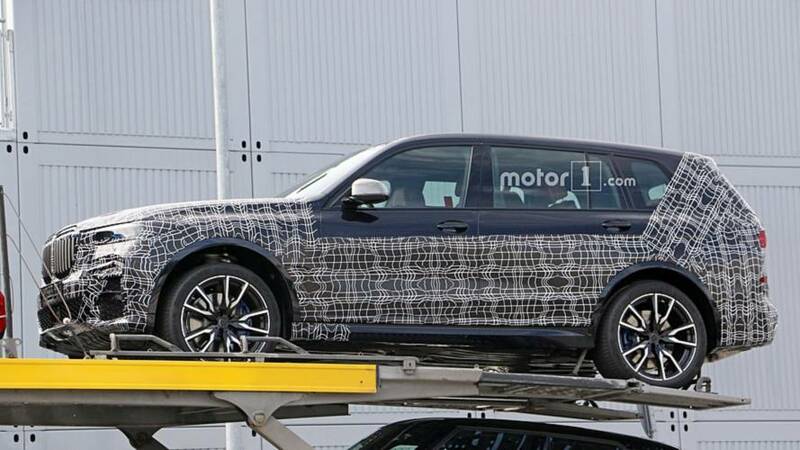 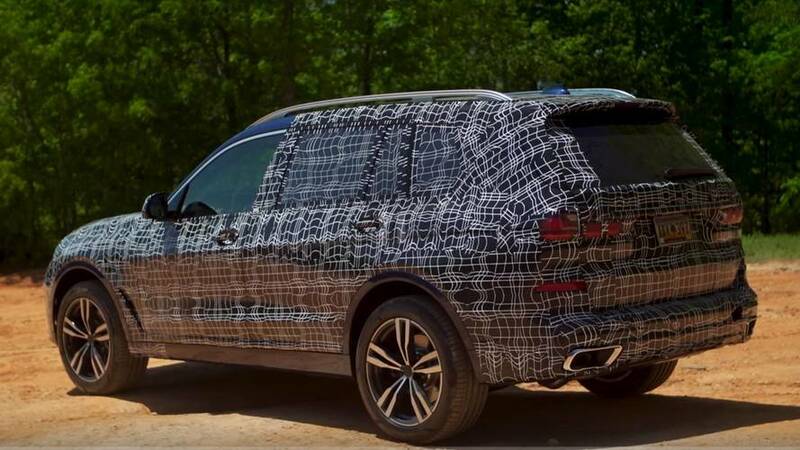 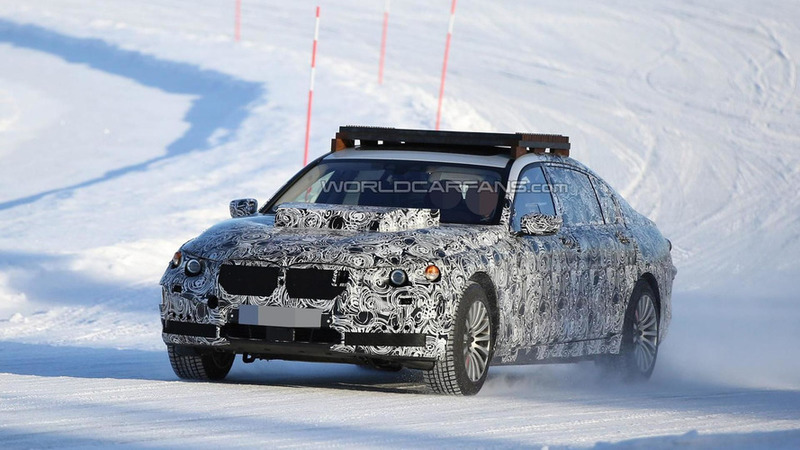 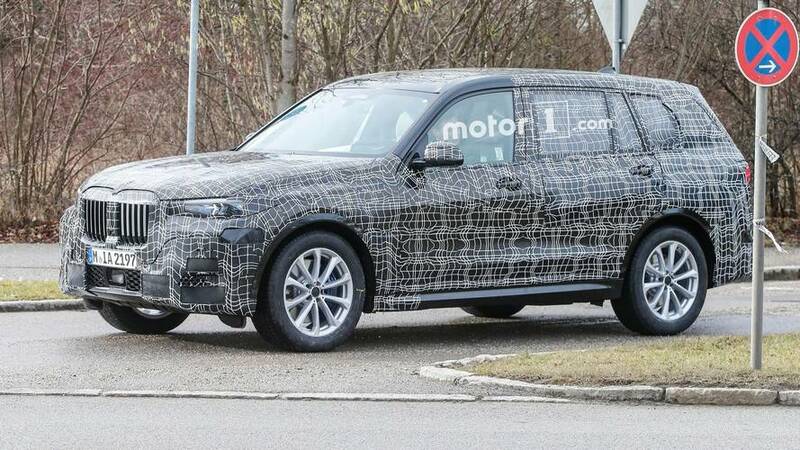 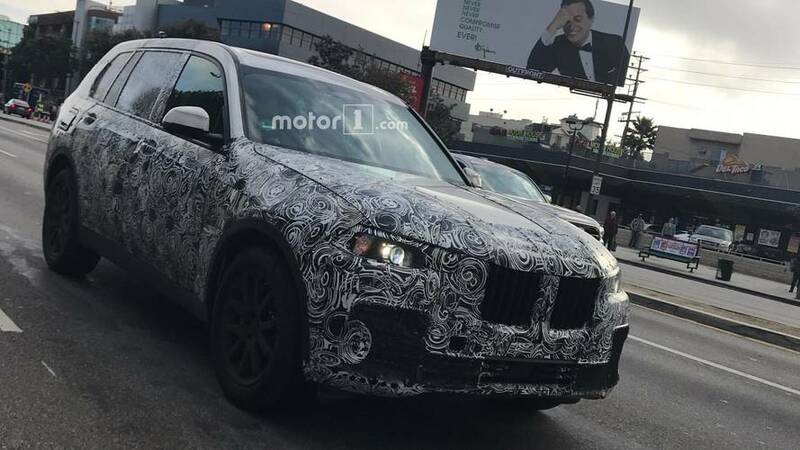 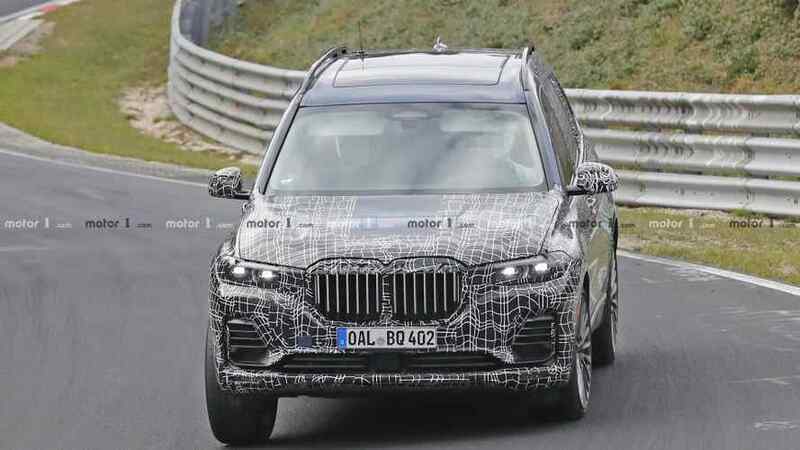 Our spies have sent us an second batch of pics depicting what could be the BMW X7 disguised as an all-wheel drive chassis testing mule based on the next-gen 7-Series.